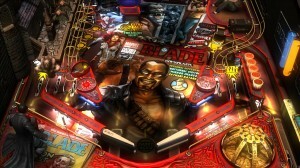 IGN reporters at Comic-Con have revealed that Marvel and developer Zen Studios have announced that Marvel Pinball will be available to download for the Wii U by the end of 2012. The exact release date will be revealed closer to the launch of the game. The game will also be coming to the Nintendo 3DS, PlayStation Vita, iOS, Android, and PC by the end of 2012. The game received an 8 from IGN when it was released for the Xbox 360 arcade and PlayStation Network last year, commenting on its addictive gameplay and lasting appeal. Download? That’s a good idea. In my opinion, pinball games will work great with the U. What kind of expectations do you set for pinball games, anyway?